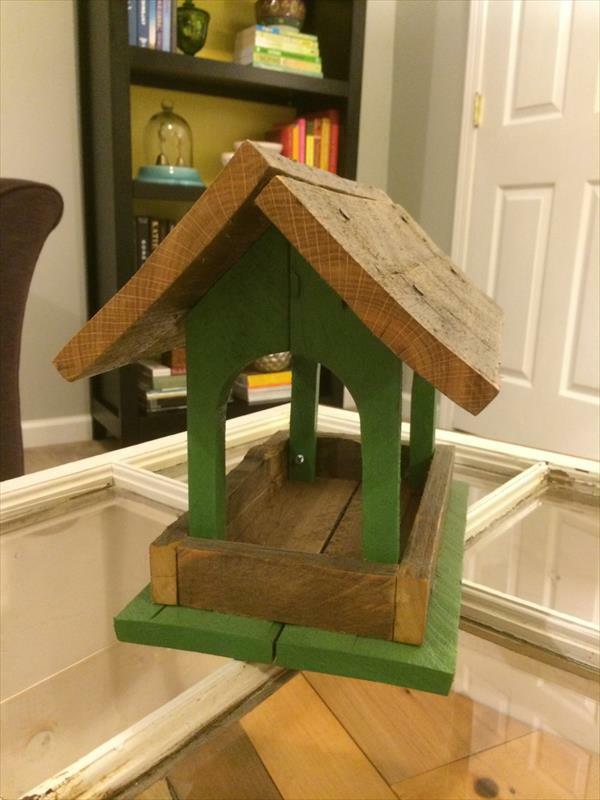 Why not style up your interior walls with custom pallet shelves schemes? Shelves become vitally important to install when you need to display some of your favorite items on a wall area that is visually attractive! You can start some quick and easy pallet projects to get geometrical wall shelves, floating wooden wall shelves, accent multi-tiered cornered shelves and also the self-standing beauty stations! 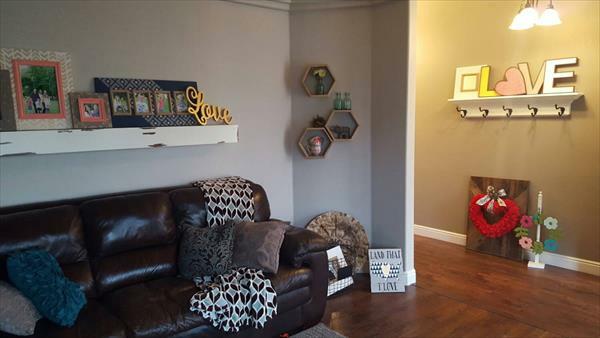 Now we are having these DIY hexagon pallet shelves to share with you! These are also self-installed ones using some deconstructed pallet boards and would definitely give a glam modern geometrical touch to any of your wall! 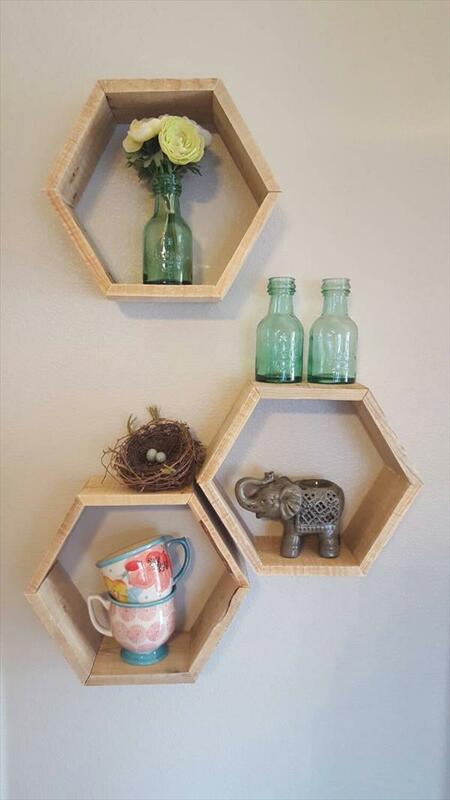 These hexagonal shelves are inspired of a honeycomb and you can also go with any custom geometrical shapes while copying this project! Create such a multiple wooden hexagons and join them in side-to-side arrangements to get adorable geometrical wall shelves to showcase a bundle of your heart-warming decors and centerpieces!